The CW has released the official synopsis for "Grumpy Old Liv," the forthcoming Season Two premiere of iZombie. Michael Fields directed the episode, which was written by showrunner and Veronica Mars creator Rob Thomas. ADAM ROSE (“VERONICA MARS”) GUEST STARS — Liv (Rose McIver) consumes the brains of a cantankerous old man to help gain insight into his death. 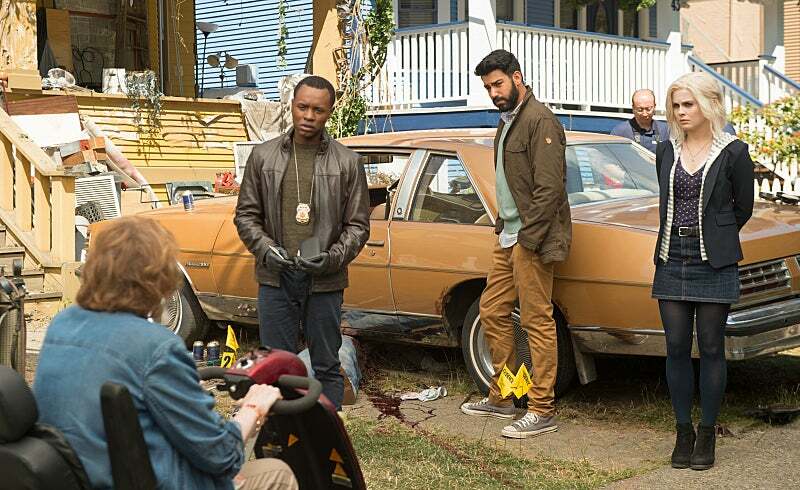 After receiving an anonymous call on the tipster hotline, Liv and Detective Babineax (Malcolm Goodwin) stop by the residence of Byron Thistlewaite (guest star Adam Rose), to question the mysterious caller. Meanwhile, Ravi (Rahul Kohli) suspects that Major (Robert Buckley) might be experiencing a side effect of the cure, and Liv pays Blaine (David Anders) a surprise visit. Michael Fields directed the episode written by Rob Thomas (#201). iZombie returns on October 6 at 9 p.m. ET/PT on The CW.